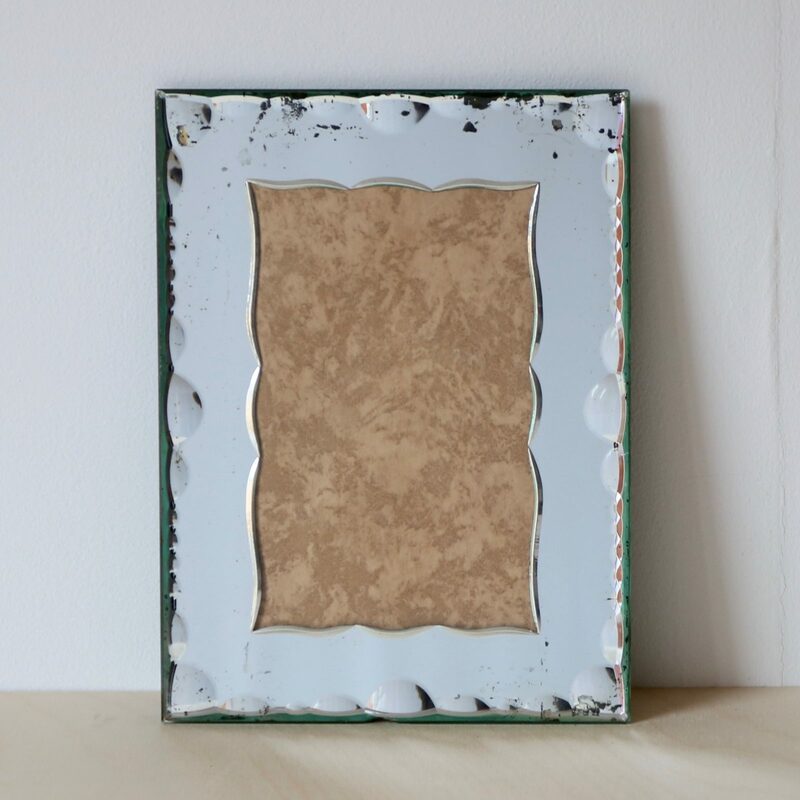 Elegant 1940s French Hollywood regency mirrored picture photo frame. Lovely clear mirror bevelled edges with deep geometric design. Slight damage to edge of the glass in places. Bevelled shaped photo surround with the sliver lifting in places. Picture frame can be placed in portrait or in landscape position. Back and easel in turquoise paper with animal skin pattern.